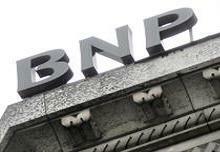 The French bank faces a $3 bln penalty for allegedly violating U.S. sanctions, while its Swiss peer could be fined $2 bln for claims it helped Americans evade tax. CS would wind up with a lower capital ratio. But BNP’s expansionist strategy would be more extensively derailed.